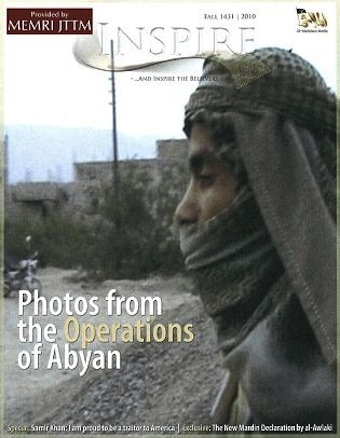 Does al-Qaeda’s magazine Inspire accept advertising? | Can someone please explain...? Dang! Here I’ve been wasting my time reading Make magazine. They never have neat articles on turning my pickup truck into a steel-bladed “mowing machine”. I’ve been trying to weld the lawnmower to the front of the Prius. I like the idea of using a Prius. It’s so quiet, they’ll never hear you coming until it’s too late. Glad to see your zany side is alive and functioning. Zany? I thought I was providing a public service! Thanks for your comment, A Fan.